This weekend, I’ve spent quality time with my family after spending most of the month away, and today I’m doing a little RT (retail therapy) with my mother. Now is the time to shop, with a lot of companies offering sales on their summer items. 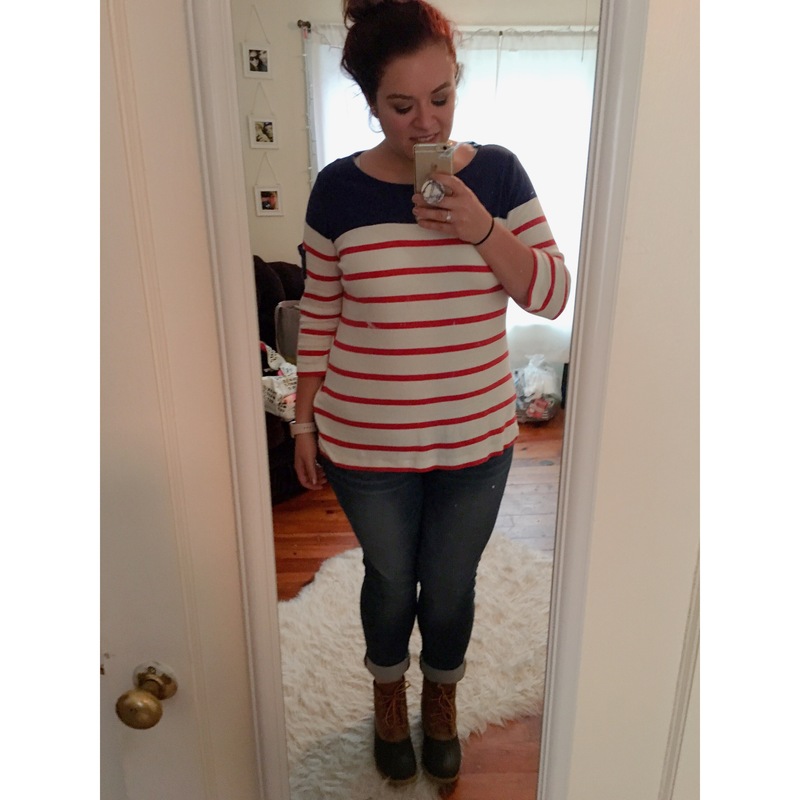 This entry was posted in fashion and tagged bean boots, brook brothers, brooks brothers, clothing, duck boots, fashion, jeggings, ll bean, MDW, memorial day, OOTD, outfit, rainy days. Bookmark the permalink. I would have never guessed those to be jeggings!! They look just like jeans- gotta get me some of those!